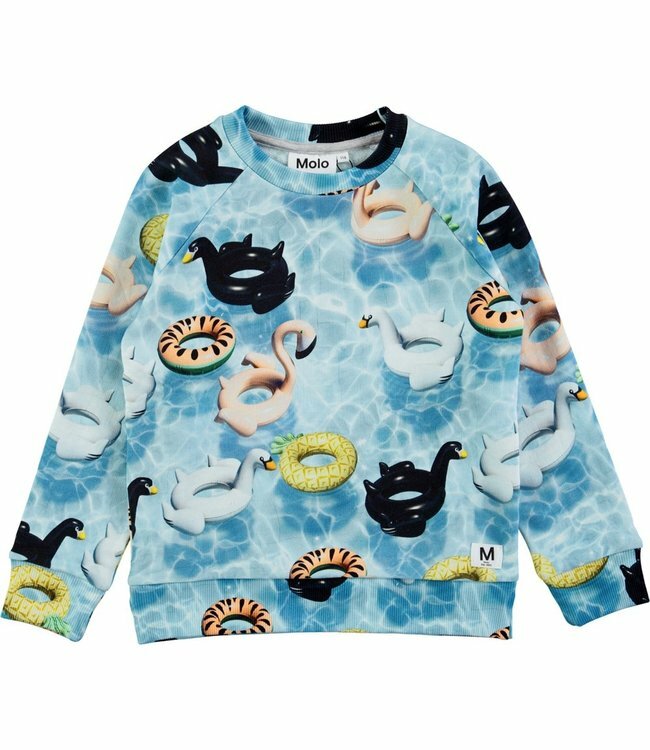 Molo Marina Pool Fun - Refinery Clothing Co.
Molo Girls Marina pool fun sweatshirt. Long sleeved cotton jersey sweatshirt with pool and inflatables print all over. Ribbed neckline, hem and cuffs.